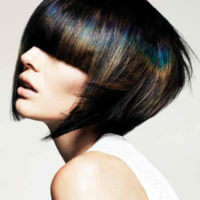 This is truly one of the most fun & bold hair colors that I’ve ever seen! 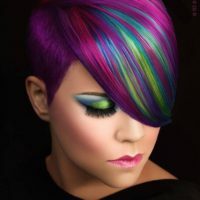 Erica Hardy-Knoop not only colored this purple & pink hair with blue & green accents, she styled it as well. 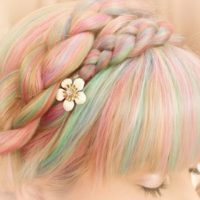 Leslie Castro photographed this lovely hair artwork. 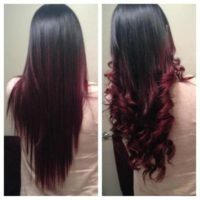 Black to red ombre hair shown in straight and curled styles.